There are 3 posts in this thread, and it has been viewed 3569 times. 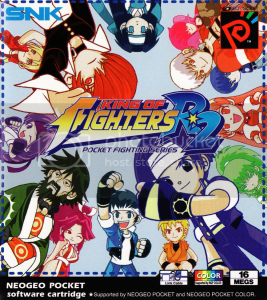 The King of Fighters R-1/R-2. What do you think? In order to not turn our back on the Neo Geo's little brother, it's time again to feature another NGPC title. 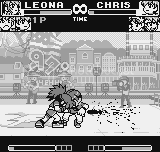 Back in 1998, in the same year when the legendary fifth installment of the King of Fighters series hit the arcades, SNK decided to bring out their flagship series on the Neo Geo Pocket. The results were handheld ports of KoF '97 and KoF '98 called R-1 (standing for Round 1) and R-2. 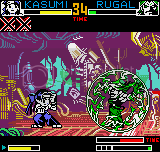 KoF R-1 was still developed for the classic b/w Neo Geo Pocket, while R-2 was released one year later for the Neo Geo Pocket Color. 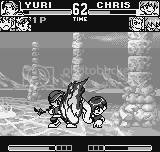 In the tradition of SNK's previous Game Boy fighting game ports, the character designs were completely customized to Chibi versions, making the characters looking like cute dolls. Although the gameplay, graphics and controls were quite simplified, the NGPC ports were received pretty well. 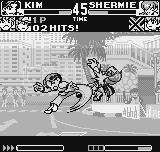 Based on the same graphics engine Yumekobo developed SNK Gals' Fighter. The King of Fighters R (for Round) series are fighting games for the Neo Geo Pocket and the Neo Geo Pocket Color. 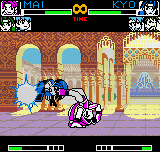 Both games feature super-deformed sprites (better known as Chibi) of KoF characters and have a simplified gameplay, relying on only two buttons instead of four. 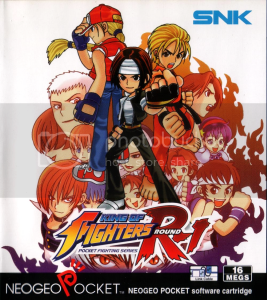 While R-1 is based on KoF '97, the second game is based on KoF '98 and can additionally transfer data to its Dreamcast counterpart, The King of Fighters: Dream Match 1999. R-2 also features an extra journey mode which allows the player's favorite character to be buffed up with certain assets. Points earned in this mode can transfer to the Dreamcast port of The King of Fighters '98 to help boost characters and unlock gallery images. They are alright, but they definitely don't stand up to SVC:MOTM. A bit of digging around I did yesterday Midway was supposedly planning on developing a Mortal Kombat game for the NGPC. I would have love to see that if it were in the same style of the rest of the fighting games. The hardware of the NGP/C was built especially around SNK's fighters, that's why the mechanics run so smoothly. R-2 It's a pretty faithful remake of '98, albeit lacking the presence of a lot of characters (R-1 is based on '97). The quest mode is unique and worth a go. I believe the main drawback is virtually no secrets or unlockables (outside of hooking up to a Dreamcast) in either game, which diminishes the replay value. This is especially disappointing since this is from SNK, the company that reveled in chocking their games full of extras.